A country with more than 17,000 islands, of which are 8,000 are inhabited. Over 3,000 languages are spoken across them. But with all diversity they unite as one, called Indonesian. It’s a beguiling country with an amazingly rich nature. It is a land of so many cultures, peoples, animals, sights, artworks, foods, and plants, it’s like 100 countries melded as one. Every island has a unique men, women, and children who live upon it. They have their own tradition, and beliefs. With that, lies mysteries, and secrets passed over generations. Time moves in a fast pace. Leaving traditions, and thoughts of an old generation. But we live in an extraordinary planet. No matter how far our knowledge goes, we will always find a way back to nature. To the place we all belong. Chemicals are there to help us. They’re invented by those fantastic scientists. But sometimes nature already provides things we need. It has been there, all this time. We just need to take a moment and find. Juara is an exceptional. Among this modern world, they are going back to basic, to the nature. Founded by woman who loves beauty. They are searchers. Searching for beauty in places where most people already forgotten. They go far to the other side of the world and learn. But after all this time they realize, the country they’re born to, have something that no one has. They bring back Indonesian secret that lives among generation. 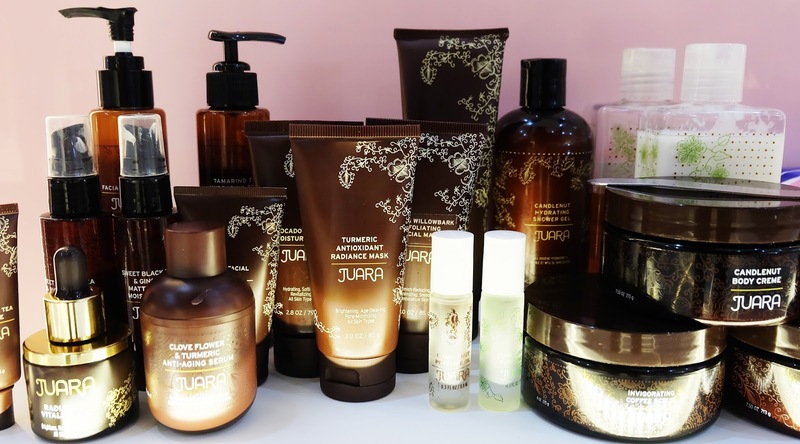 Candlenut, Coconut oil, coffee, black tea, and other ancient beauty rituals of Indonesia, Juara makes a 100% vegetarian beauty products. What I have here is candlenut body polish and candlenut body crème. 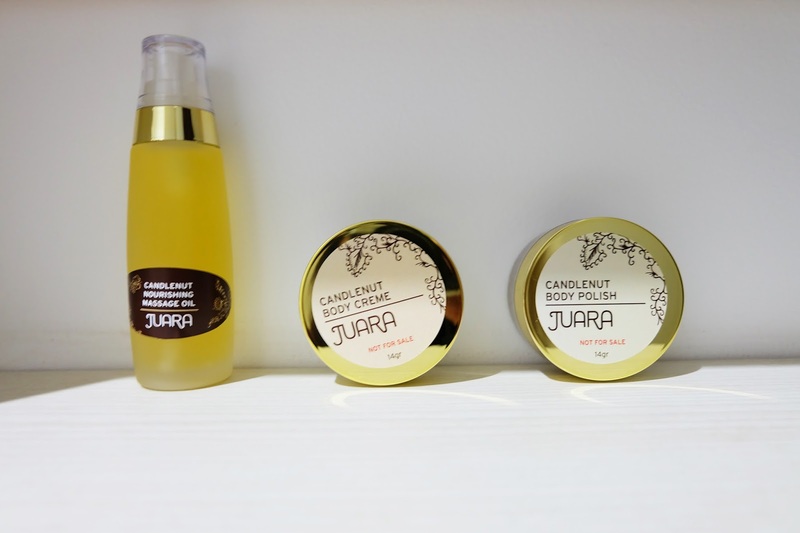 Candlenut ,known as kukui nut oil, one of the finest and most elegant plant oils. 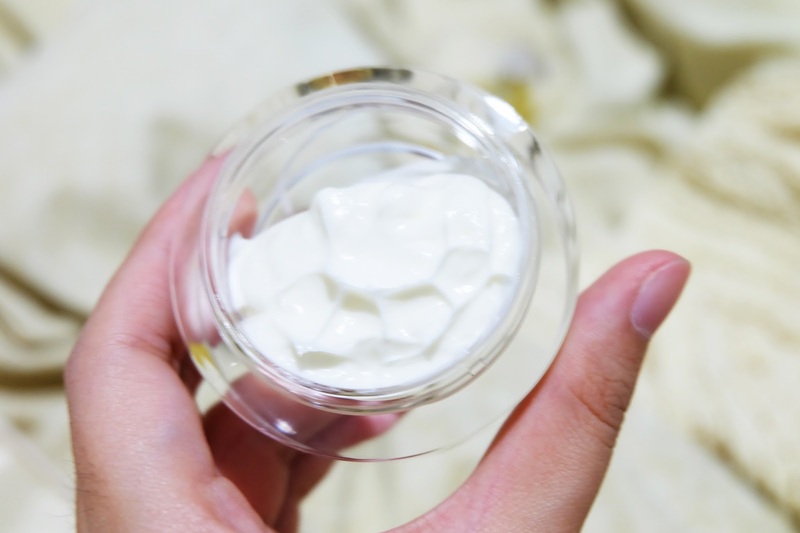 It contains glycerides of linoleic, oleic and various linolenic acids, which are essential to skin health. Known for its exceptionally velvety feel, candlenut oil is easily absorbed and deeply penetrates the skin. It’s an excellent conditioning agent for dry, rough skin. 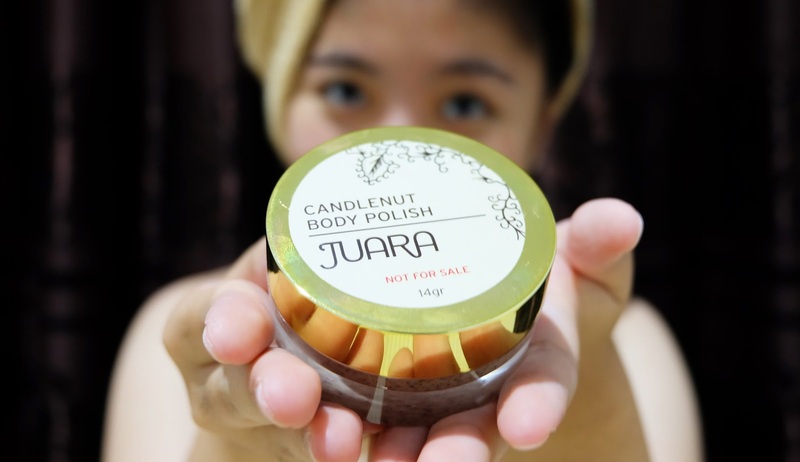 Candlenut body polish is a body scrub. The thing that makes it unique besides it ingredients is the way you apply the scrub. You don’t need to wet your skin; instead you can apply it directly. After that, just wipe out the rest of the product with anything like towel and you are done. No sticky feeling. Magically your skin will appear softer, and brighter. So, you can scrub your body anywhere, anytime. Complete your skin ritual with their Candlenut body crème. Just like lotions but it’s more thick and moist your skin much better. It’s a complete package. Last but not least, it is candlenut massage oil. It’s an exclusive item that you only can have from event. I’m blessed! Well, if you wish to have it, I’ll suggest you to follow their social media and find out if there is an event or programs that you can join. 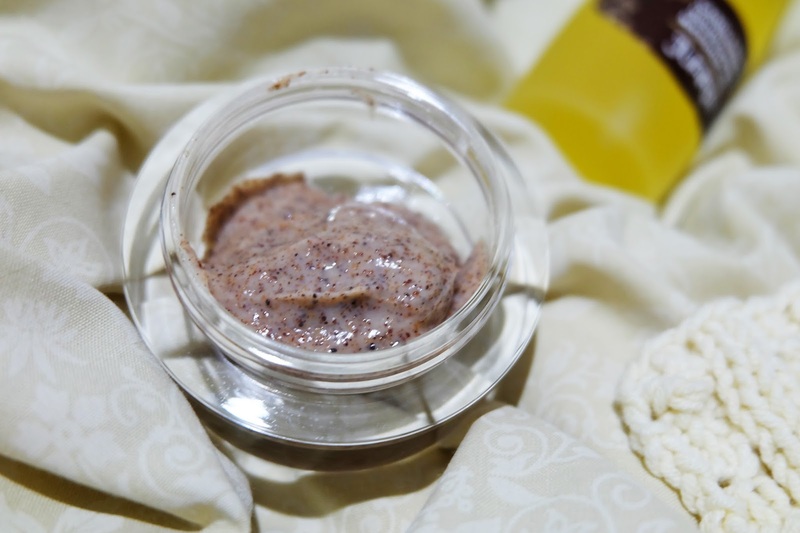 This oil just like other candlenut product, it smells traditionally good, and moist your skin as well. What else can I ask for? Their packaging is super elegant. LOVE! If you want to try Juara, you can buy them at Sociolla. 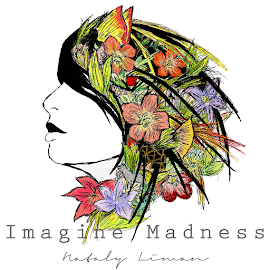 Don’t forget to use discount code NATALY50 at checkout to get IDR 50,000.- discount with minimum IDR 200,000.- purchase. Enjoy!